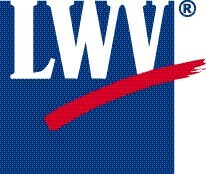 The League of Women Voters of Oregon produces Vote411.org. League members collect responses from candidates and loads them in search able data base. Enter your address to build your ballot with our online voters’ guide! Oregon LWV VOTEResources also includes: Vote411.org/Ballots Enter your address for candidates and measures on your ballot. Online: we are covering 335 Oregon Races with 662 Candidates, and an additional 67 Ballot Measures from across the state. This is full “down ticket” information. What am I Signing?? Petitions are circulating!